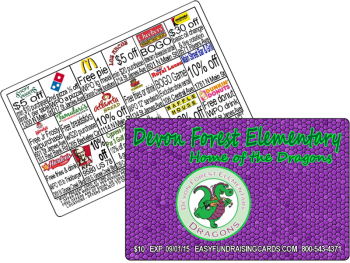 Fundraiser cards have long been the perfect way to raise money for school organizations, church groups, sports teams and other charities, for many reasons. 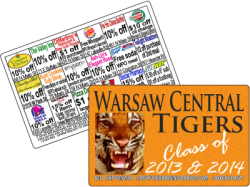 They’re more profitable than any other popular fundraising products you could think of – candy bars, jerky, candles, popcorn, cookie dough – you name it, and the profit margins simply aren’t as high as what you will enjoy with fundraiser cards. If yours is one of the few groups that has never tried this method of raising money, there are countless reasons why you should. 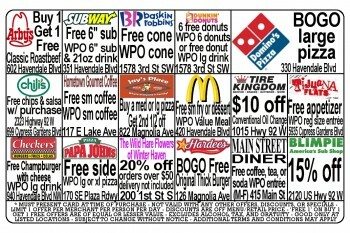 Fundraiser cards can be promoted any time of the year, spring, summer, fall, or winter. Customers are always happy to buy, because they get such a bargain considering the money they will save over the coming year with the deals offered on the cards. Card bearers enjoy 10% to 25% on food, oil changes, family activities, a membership at the local gym, hair care – the neat thing is, your group can provide a wishlist merchants you want to participate. 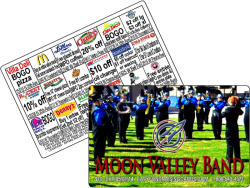 fundraiser cards really benefit everyone all the way around; the customer gets to save money, the merchants attract new business, and your group or organization can easily and quickly raise a substantial amount of money. There are few products (if any) that offer such incredible value to the customer, while allowing your group or organization to earn fantastic profits – all while supporting the economy in your own neighborhood! 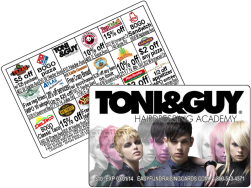 Fundraiser cards are a top fundraising product today not only because of the profit margins, but because there is very little work or planning involved. fundraiser cards are the one way that you can raise the funds you need quickly and with much less effort than other methods you may have tried. Fundraiser cards make it easy on the person who directs the event, as well as those selling the product. Customers love them because of the real value they offer at a minimal expense.